So we may be crazy. I like to think of it as adventurous. On Friday night, we decided to camp in our backyard. 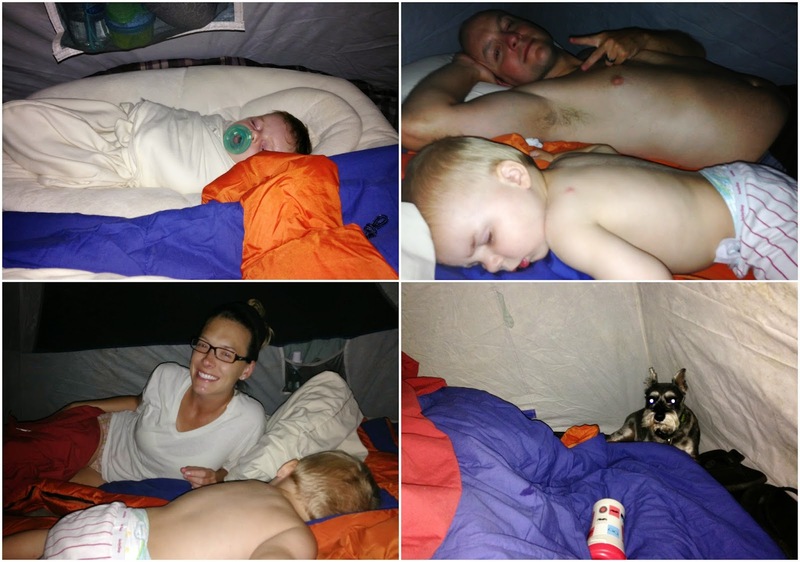 All five of us - 10 week old baby and dog included - in a tent. We've talked about it for some time now and can't wait for the day when we can take our little family camping for real. But for now, the backyard it was, and since we tend to do everything as a family, I wasn't about to let Craig and Brantley experience this first without the rest of us. 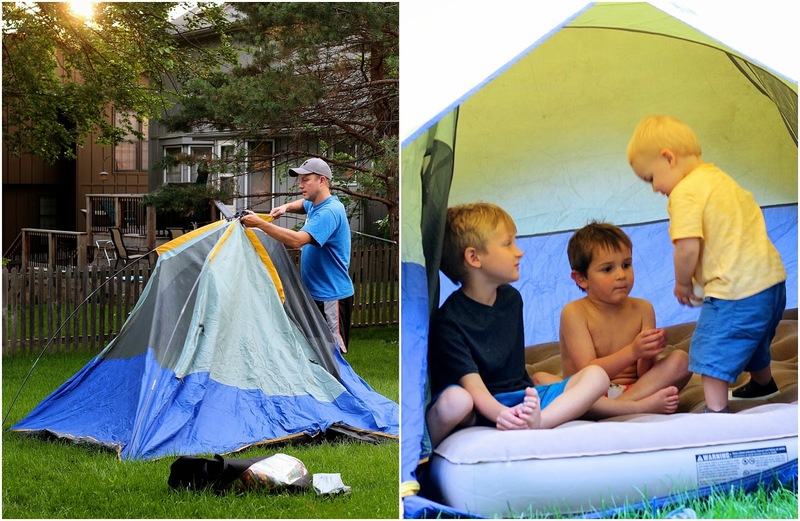 Brantley had some fun playing inside the tent with neighbors, before a firepit, which kept us up way later than intended. When we finally headed to bed around 11pm (thank goodness for summer), Brantley was ready to play some more. I don't blame him, after all, that's what he does in his play tent we keep inside. We calmed him down and he was asleep in record time. Until he woke up a few hours later and wanted to play again. He was excited to be sleeping in the tent, to say the least. We put him between us on the air mattress and put Holden in the bassinet part of the Pack 'n Play next to me. Kinnick was in the corner. He was probably the most weirded out by the experience. Except for Holden, I'm not sure any of us got much sleep, and the whole Brantley-sleeping-between-us-thing reassured our decision to never, ever let kiddos sleep in bed with us. Hello kicking, rolling, sleeping at a diagonal, and cover-stealing. :) Still though, it was fun to snuggle with him all night long. Needless to say, it was a fun summertime experience and I can't wait to go "camping" again.